My review of Earthlings the Movie. I was asked by a friendly and respectful vegan on #farm365 to watch Earlings the movie and provide feedback. It took me a while, but I finally put together my thoughts. Overall, the movie is highly skewed and uses a lot of foreign footage to further the agenda of the producers: ending animal agriculture. The movie uses mostly footage from organizations such as PETA, HSUS, Humane Farmer’s Associations, Greenpeace and other animal rights organizations. There isn’t any balance in the footage with inputs from farmers, industry groups or agriculture scientists. The film quite dated now as well as it was released in 2005 and much of the footage is from 1996-2001. My comments go through Earthling chronologically. They are meant to brief. I encourage any disucssion or questions about them. The opening comments about speciesism. Speciesism is part of nature. Pretty much all species do protect themselves preferentially over other species. I though this blog was insightful to the speciesism argument http://speakingofresearch.com/2014/03/20/speciesism-is-unavoidable/. I inherently believe humans are more sacred than animals. The scene with the pig being killed by bludgeoning with a cinder block is unacceptable. I don’t agree with how the pig was put down. There are code of practice and huge national working groups on Humane Destruction and Disposal. I was part of one these for a role I had in the past and industry professionals, veterinarians and scientists take a lot of time and care to make sure the way animals are euthanized or slaughter is humane. In the case of pigs of the size shown the acceptable methods for euthanasia are overdose of anesthetics, captive bolt or gunshot to the head. Here is the code of practice for swine euthanasia https://www.nfacc.ca/codes-of-practice/pig-code#section6. I disagree with the comment that animal are other nations-my personal belief. The general principle that animal welfare considerations modelled are the 5 freedoms for animal welfare or Brambell’s Five Principles. We believe that an animal’s welfare, whether on farm, in transit, at market or at a place of slaughter should be considered in terms of ‘five freedoms’. These freedoms define ideal states rather than standards for acceptable welfare. They form a logical and comprehensive framework for analysis of welfare within any system together with the steps and compromises necessary to safeguard and improve welfare within the proper constraints of an effective livestock industry. Freedom from Hunger and Thirst– by ready access to fresh water and a diet to maintain full health and vigor. Freedom from Discomfort– by providing an appropriate environment including shelter and a comfortable resting area. Freedom from Pain, Injury or Disease– by prevention or rapid diagnosis and treatment. Freedom to Express Normal Behavior– by providing sufficient space, proper facilities and company of the animal’s own kind. Freedom from Fear and Distress– by ensuring conditions and treatment which avoid mental suffering. The commentary on breeders, I agree that there is a distinct lack of regulation in the pet breeding industry. The commentary about shelters and euthanasia rates are likely bang on. On a personal note, my sister in law is a veterinarian and does much of the veterinary services for our local humane society, it is sad to see the number of pet surrendered and abandoned. All our dogs and cats are rescues. In addition, we usually get 5 or so dropped off cats at our farm annually as we are close to town. Sadly, some we can’t catch or take care of until they are too sick or starved to live. We would much rather people came to our door with the cats so we can take of them properly instead of trying to coax a terrified cat to come to us so we can care for them. 100% agree with the commentary urging pet owners to spay and neuter their pets. The footage of the dog being crushed in the garbage truck is sickening. The footage of the worker taunting is again not acceptable to industry. Like in all industries there are individuals who behave inappropriately. The footage of branding. Most cattle in Canada are no longer branded (less than 10% according to NFAAC). In the 30+ years I have been around cattle, I have never seen animal branded on the head, it is illegal in Canada. Usually they are on the hip or shoulder. Branding is generally used for identification purposes. I admit that there are pain issues with branding. We brand our cattle either with a freeze brand for dark hair cattle or hot iron for our white haired cattle. There a pain concerns with either method; hot irons cause more acute pain while freeze branding is a more chronic pain. We do so for ID purposed. Last fall we had 100 bull calves break through a fence after being chased by a predator. They had no brand and it took 2 months to find all our cattle. We also use ear tags and tattoos for identification, but those are easily removed in case of theft, tags fall off and tattoos are placed inside the ear so they are difficult to see. 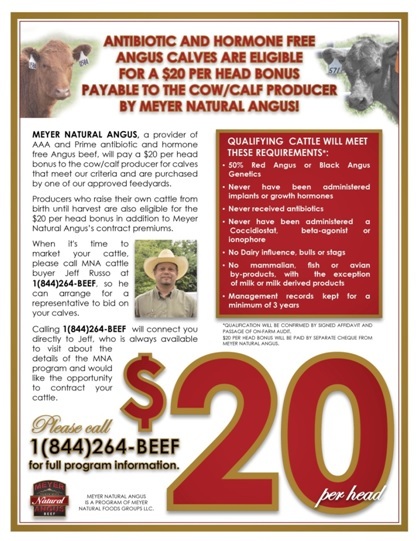 Here is the code of practice for beef cattle. ttps://www.nfacc.ca/pdfs/codes/beef_code_of_practice.pdf it covers recommended procedures and legal practice for animal care including branding, dehorning etc. productivity (3,40-42). Dehorning must be performed only by competent personnel using proper, well-maintained tools and accepted techniques. Seek guidance from your veterinarian on the availability and advisability of pain control for disbudding or dehorning beef cattle. Disbud calves as early as practically possible, while horn development is still at the horn bud stage (typically 2-3 months). With dehorning calves after horn bud attachment. use homozygous polled bulls where practical to eliminate the need for disbudding or dehorning (3). avoid dehorning at the time of weaning to reduce stress (3). 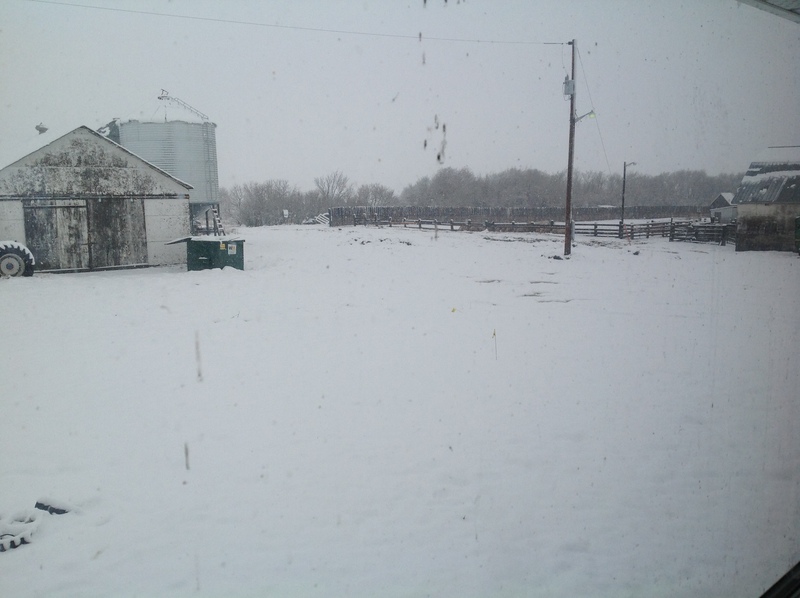 I grew up on a dairy farm, was part owner until 2009 and have 5 brothers that are actively dairy farming. This footage isn’t reflective of current farming practices. For cows that are in tie stall barns, they generally go out for exercise and grazing. The tie stall barns are less common now than loose housing barns where cows can choose when and to eat and lie down. The comment about pesticide and antibiotics in milk is categorically false. Each tank of milk that is picked from a dairy farm is tested for residues, adequate storage temperature and cleanliness. The revelation that dairy cows are slaughtered is true. I feel that it is the proper thing to do in terms of reducing waste and dairy cows are a very lean source of protein. The footage of the cows going to slaughter is very dated – 1996. The comments about meat production, if you are interested in slaughterhouse welfare, Temple Grandin www.templegrandin.com . This is footage from a slaughterhouse https://www.youtube.com/watch?v=VMqYYXswono. The footage of stressed cattle is again distressing. It’s distressful for the animal and stressed animals end up as “dark cutters” or tough meat. In Canada, we have meat inspection agencies at the Federal and Provincial level that oversee the slaughter and welfare of cattle. Again, I don’t have direct experience in this industry, but the footage is old and in Canada there are Codes of Practice for Veal Calves. The codes are older and currently under review. https://www.nfacc.ca/codes-of-practice/veal-calves. Many to most of the bull calves marketed from dairy cows are raised as regular beef and not as veal in Western Canada. Sows are not continually pregnant. They do have rest period. Sows traditionally have been raised in gestation crates as they have a tenancy to savage their pigs and/or sit on them. As an industry, the swine industry has recognized this as an area they can improve upon. As of July 1, 2014 any new facilities must have loose housing from sows and older facilities have time to renovate their barns to loose housing. From the NFACC Codes of Practice: As of July 1, 2024, mated gilts and sows must be housed: in groups*; or in individual pens; or in stalls, if they are provided with the opportunity to turn around or exercise periodically, or other means that allow greater freedom of movement. Suitable options will be clarified by the participating stakeholders by July 1, 2019, as informed by scientific evidence. For the comments about cannibalism, it is a real problem in pigs and the major reason that tail docking occurs in swine. As of July 1, 2016 all pigs are required to receive pain medication when tails are docked. Many producers proactively have adapted this practice. Pigs that are being cannibalized should be separated, treated if possible or euthanized. Teeth clipping in pigs aren’t common practice any more either. The footage of throwing chicks, again it’s unacceptable. The debeaking footage is from 2002 and the footage from the barns is from 1995. If you are interested in seeing current layer barns, here is a neat set of videos from Saskatchewan Egg Farmers https://www.youtube.com/watch?v=Kbs8d-H0Mt0&list=PLUYKr-aLNt4Z2qIXRhzuD2dX4WiPrc_Y8 . Again, in chickens, cannibalism is a concern. I had a small flock of free range chickens growing up and even those hens would cannibalize each other given the chance. Hence the term “pecking order.” There are space, nutrition and management strategies that can help minimize cannibalism, but unfortunately, it also is part of the nature of the chicken as they are omnivores. The footage of slaughter again was poor. I have never heard of a hang pen nor is clubbing acceptable. It’s not okay that these things have happened in the past, but modern slaughter practices are much different. Again, Temple Grandin has video of a poultry slaughterhouse here: https://www.youtube.com/watch?v=VQ2fDX76Mmc. I have seen smaller local poultry processing plants and they all have been equally well run. There codes of biosecurity for most livestock species are available here http://www.inspection.gc.ca/animals/terrestrial-animals/biosecurity/standards-and-principles/eng/1344707905203/1344707981478. The goal is to keep the livestock and us humans healthy. Also, in Canada, the Canadian Food Inspection Agency tests all meat for microbial contamination at a very rigorous level. Again I have no way to comment on this professionally. The methods of hunting and slaughter do not appear humane. Personally, I am not a fan of the fur industry, as it seems pretty wasteful and there many other options for clothing. I have no problem with indigenous peoples using furs they hunt but don’t see the value otherwise. Much of the footage shown in the movie is foreign. I personally again, do not enjoy commercial rodeo entertainment. I am more respectful of ranch rodeos that have more stringent guidelines on welfare and handling. It is more of a reflection of what a cowboy actually would do on a ranch and less focus on entertainment. The footage of teasing animals again is disturbing and doesn’t happen to my knowledge in North America. I have no expertise in circus animal welfare but I am not interested in watching animals paraded for sport. The footage is older but again using animals for pure entertainment doesn’t appeal to me at all. I don’t agree with killing for sport and can’t support this industry at all. I believe using animals for medical research is acceptable if they are cared for appropriated. There are standards of care for lab animals. The Canadian Council for Animal Care set the regulatory guidelines for animals used for research in Canada http://www.ccac.ca/en_/standards/guidelines. This production was highly funded by animal rights organizations whose sole intent is cease animal agriculture. The footage is old and much of it was from foreign countries. It is disturbing to see any animals treated poorly. I firmly believe in North America, there is small minority of livestock producers that are not caring for animals. I also believe that as a parent, if you followed me around for months at a time, you would see some time that I do not behave well, but that is not reflective of who I am as a parent. The same can be said of some of the animal rights footage in the media nowadays. As a farmer, I believe in the concept of “Duty of Care.” I believe the livestock production is a solid component of our food system that utilizes inputs that are unfit for human consumption and convert them into high quality protein. On our farm we care and respect for our stock as best as possible while we raise them and then they are slaughtered using the most humane possible. Or visit a local farmer! This email has all sorts of things I’d like to talk about, but for today, I’ll stick to the antibiotic free part. 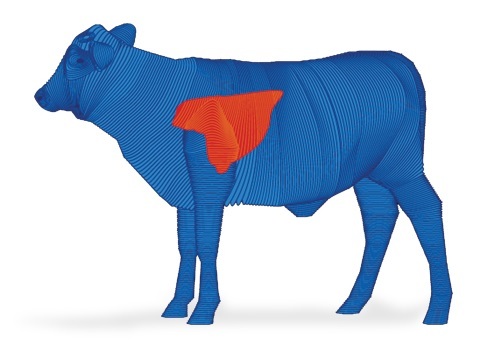 Consumers are looking for for more natural beef. I’m all about market development but where does that leave cattle producers from a welfare standpoint? Animals get sick. As a farmer, I do my best to keep my cattle healthy though best management practices and an intensive preventative medicine plans developed in conjunction with our herd health vet. Respiratory disease is the most common disease in cattle. The bovine lung is more susceptible to respiratory disease than other livestock species. Cattle have small lungs, relative to the animals’ size, and the lungs are set deep in the chest. What does this mean for the antibiotic free beef movement? Where are the ethics of not treating sick animals? • show continuous weight loss or emaciation. Baby calves in late spring storms are a high risk for getting sick. In a world of antibiotic free beef, these calves would either 1. Excluded from the beef production cycle at a high cost to the producer and consumer if they are treated or 2. Left untreated would suffer more than necessary and possibly die. Neither option sounds like a great idea to me. So while I 100% support using the best management tools available to prevent disease and need to use antibiotics, I am very aware of how tough it is for cattle to resist disease in the face of stress like storms, dusk, handling etc. I am hoping we can reach a point one day again where the farmer is trusted and seen as a steward of animals using the best tools to care for their animals and land – even if the mean using products like antibiotics and other materials that are supported by sound science.